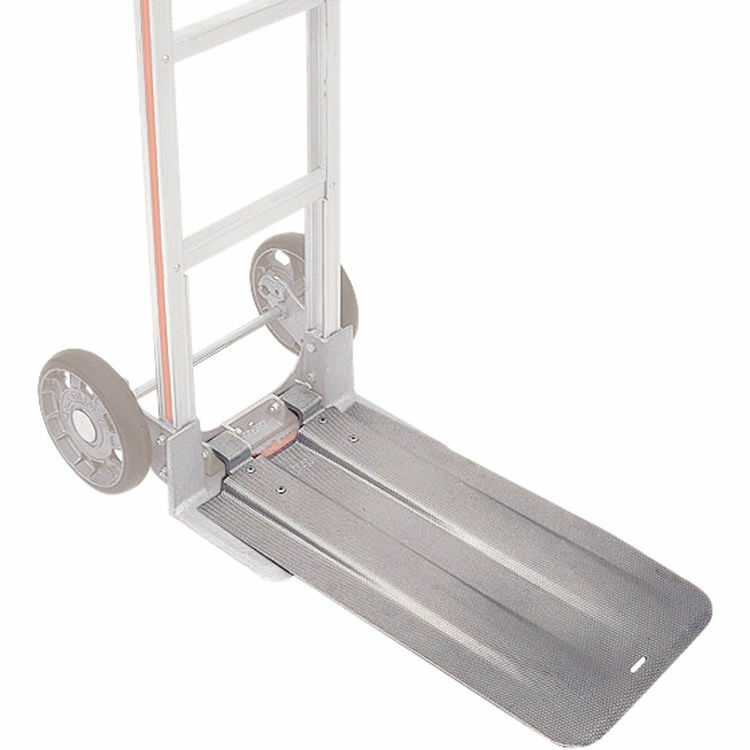 Modify your hand truck with the 24"-plate Folding Nose Extension from Magliner. Compatible with the Gemini Jr. and Gemini Sr. hand trucks and the 300197, 300200, 300201, 300204, 300205, 300244, 300544, 300245, and 300545 Magliner Noses, the aluminum extension features a low-profile design for sliding under and picking up packages. It helps stabilize large and bulky loads for transport and has a load capacity of 300 lb. The flat, plate-type extension prevents bag fall-through when moving bagged goods. Box Dimensions (LxWxH) 31.7 x 12.6 x 2.7"